Do You Know What Your Social Security Benefits Are Worth? How Much Are Your Social Security Benefits Worth? Those Social Security retirement benefits you've been paying into for years and years are out there on your horizon somewhere. Or maybe they're looming in the relatively near future. You know exactly how much your benefits are worth, right? But your estimate might be wrong. You'd be surprised at how many families and singles routinely underestimate their Social Security benefits. Start by thinking of them in terms of what you would have to have in the bank at retirement to deliver the same amount of monthly income you're living on now. Suppose you'll receive $1,500 a month from Social Security beginning at age 66. Each year that $1,500 a month can be expected to go up a little if the cost of living measured by the consumer price index increases. Now suppose you'll live another 20 years. How much is that income stream worth? You can answer that question by taking the present value of that stream of cash flow. To pay yourself $1,500 a month increasing at 2 percent a year for 20 years, you'd need $263,977 in the bank earning a 5 percent annual rate of return. You'd need $348,535 if you live for 30 years. And if you assume that you're using safe investments earning 2 percent instead of a portfolio earning 5 percent—the same rate of assumed inflation at which your income increases each year—you would then need $352,941 in the bank for the income to last 20 years. You'd need $529,411 for it to last 30 years. A $1,500 per month Social Security benefit is worth hundreds of thousands of dollars at a minimum, and that doesn't factor in ancillary benefits like spousal benefits or survivor benefits. You might be shocked to learn that it's not uncommon for benefits to be worth more than a million bucks for a married couple. Take a couple who were both born in 1950. They each worked and earned decent wages. His benefit at full retirement age will be $2,668 a month. Hers will be $1,659 a month at full retirement age. 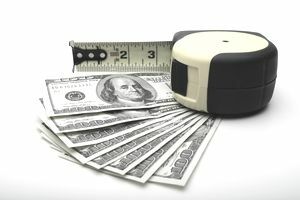 If they each claim their own benefit at their full retirement age and he lives to age 85 and she lives to age 90, the present value of their lifetime benefits works out to about $941,000. It used to be that he could file and suspend his benefit at age 66, thus allowing her to claim a spousal benefit. She would be able to claim a spousal benefit for four years then switch to her own benefit when she reached age 70. He would begin his benefit at his age 70. In this way, they could both get the delayed retirement credits that would allow them to collect the maximum monthly benefit amount. But the Social Security Administration changed the rules for this file-and-suspend strategy effective 2016. Now, when one individual suspends benefits, his spouse's benefits are also suspended. This claiming strategy would have boosted the present value of their lifetime benefits to $1,057,000 back in the day. These present value numbers were calculated using a for-fee online Social Security calculator called Social Security Timing. They assume a 2 percent annual increase in benefits due to inflation and a 5 percent discount rate or rate of return that the lump sum would have to earn. Those who are coming up on retirement routinely underestimate what a guaranteed income stream is worth. This tendency to underestimate applies to pension benefits as well as to Social Security. Retirees also tend to overestimate the value of their savings and investments. They often assume that their investments can produce more income or earn a higher rate of return than what is realistic. This can lead people to choose a lump sum option for their pension instead of an annuity option simply because they're not aware of the true value of that annuity income stream. Don’t dismiss the value of your Social Security benefits or other sources of guaranteed income because this monthly income is likely to be worth far more than you think.